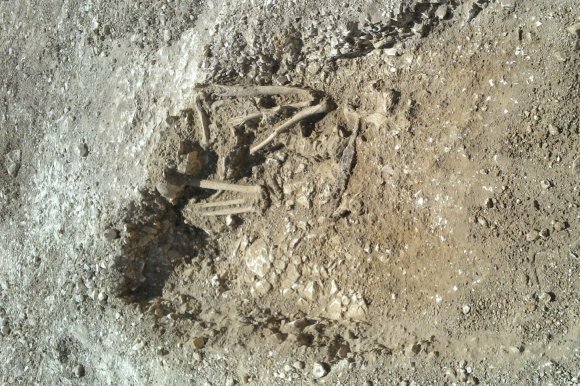 Archaeologists have discovered six Pagan Saxon skeletons dating back over 1,000 years on a housing development site just a few miles from Stonehenge. The discoveries, which also include round barrows dating back to the Bronze Age 4,000 years ago, were unearthed at a redundant brownfield development site in Amesbury, Wiltshire, which is also famous for the Amesbury Archer – an early Bronze Age man found buried among arrowheads. The remains are thought to be those of adolescent to mature males and females. Five skeletons were arrayed around a small circular ditch, with the grave of a sixth skeleton in the centre. Two lots of beads, a shale bracelet and other grave goods were also found, which suggest the findings are Pagan. The site is now being excavated for other artefacts by Wessex Archaeology, led by Phil Harding, known for his work on Channel 4’s Time Team, while colleagues back at the unit’s laboratory examine the remains and jewellery, which have already been removed. 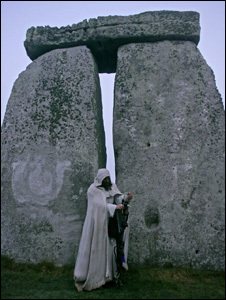 Phil said: “Given that the Stonehenge area is a well-known prehistoric burial site, it was always very likely some interesting discoveries would be made here. The fact that these round barrows were previously unknown makes this particularly exciting. Landowner Aster Group is building 14 affordable homes at the redundant brownfield site, which will be available to rent from 2014. Anna Kear, Aster’s regional development director for Hampshire and Wiltshire, said: “Wiltshire is a treasure trove of archaeology, drawing people from across the world. 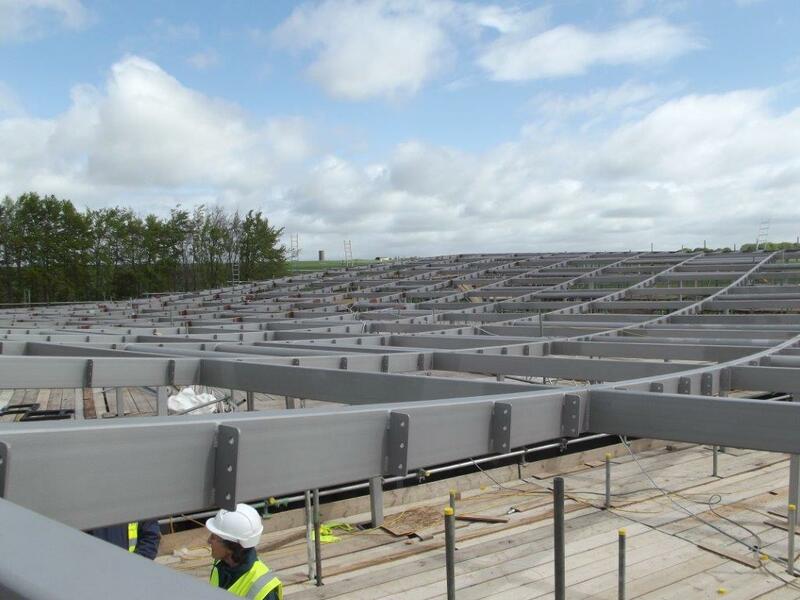 Contractor Mansell, a Balfour Beatty brand, was preparing the site for the build when it made the discovery. 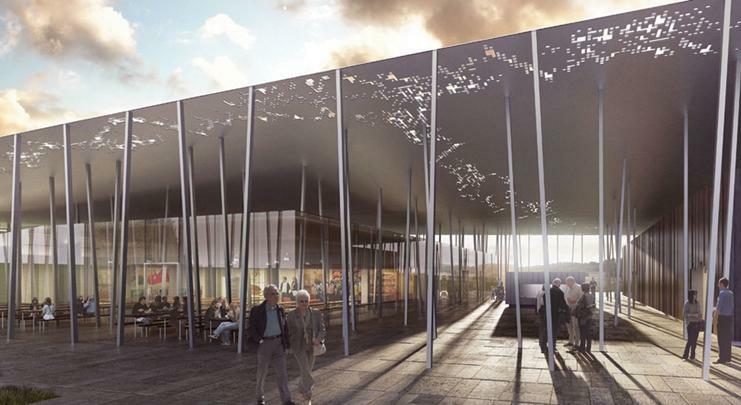 The archaeologists are expected to be on site for six weeks in total. 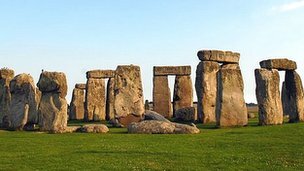 Footage from the site may also be included in an archaeological production for ITV’s History Channel, due to be aired in January 2014. 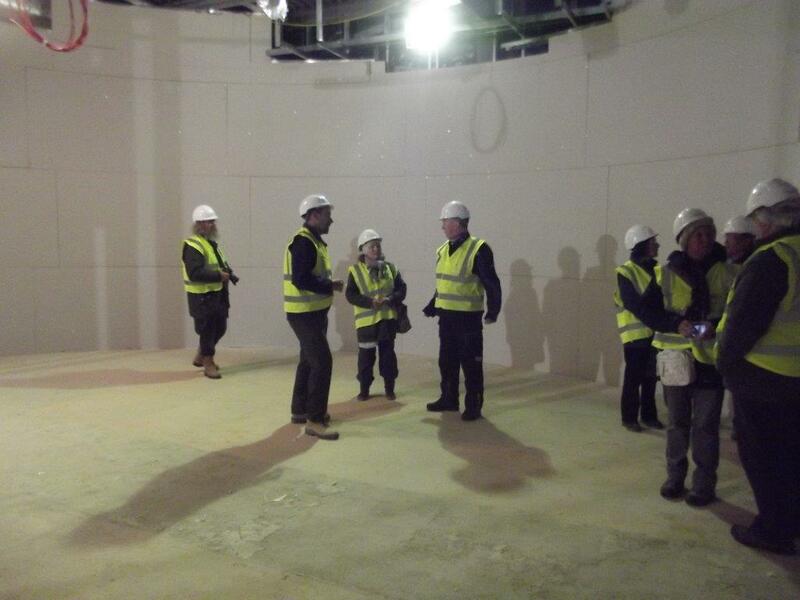 Stonehenge Visitor Centre and Galleries Preview Tour. What happened on the visit ? 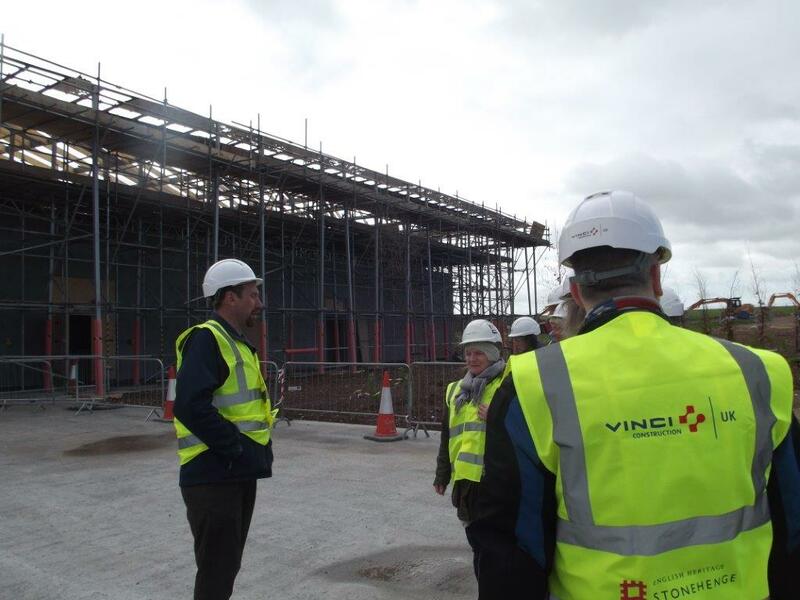 We met English Heritage; Loranie Knowles (Stonehenge Project Director), Richard Williams (Stonehenge Project Manager) and Lisa Holmes (Stonehenge Community Projects Manager) together with staff from Vinci Construction. Collectively they shared their experience behind the scenes of how the fantastic new facility is being made possible. We got a tour around the site and also a chance to ask questions. 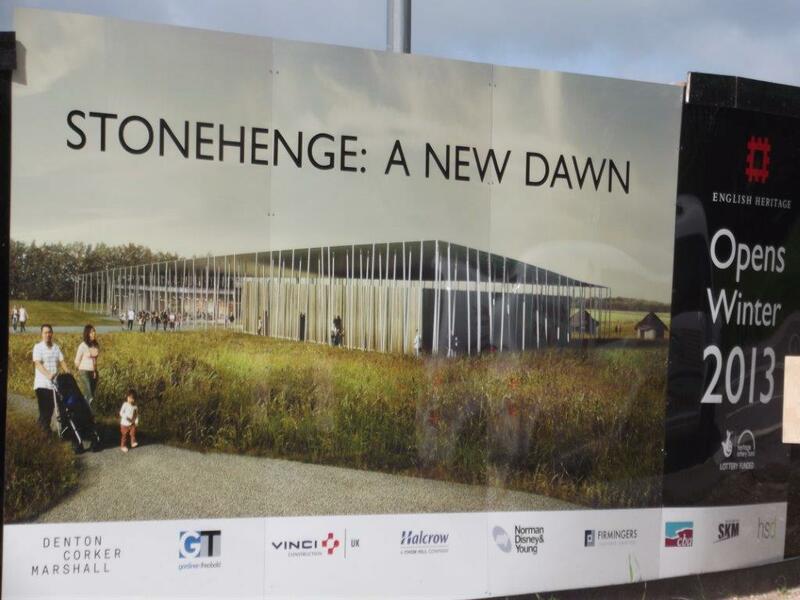 The open day has been organised and hosted by English Heritage with thanks to Vinci Construction and to Heritage Lottery funding which supports local community involvement in the Stonehenge Environmental Improvement programme. Stonehenge Visitor Centre. Main entrance. 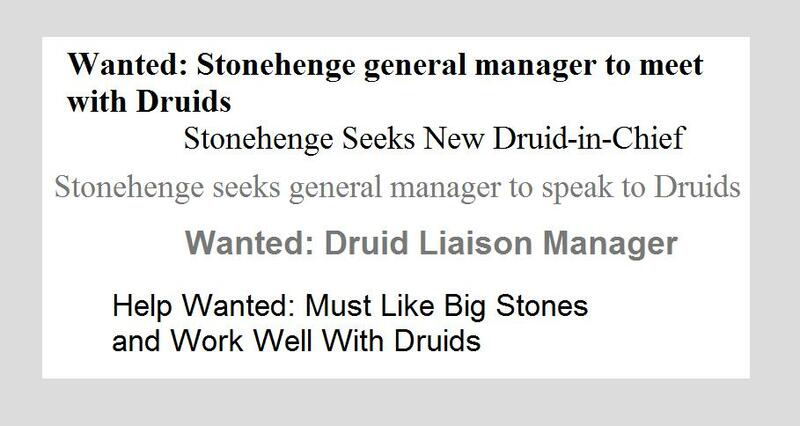 Stonehenge: a not-so-subtle hint of change?